Honda has dabbled in electric vehicles, particularly of the four-wheel kind. 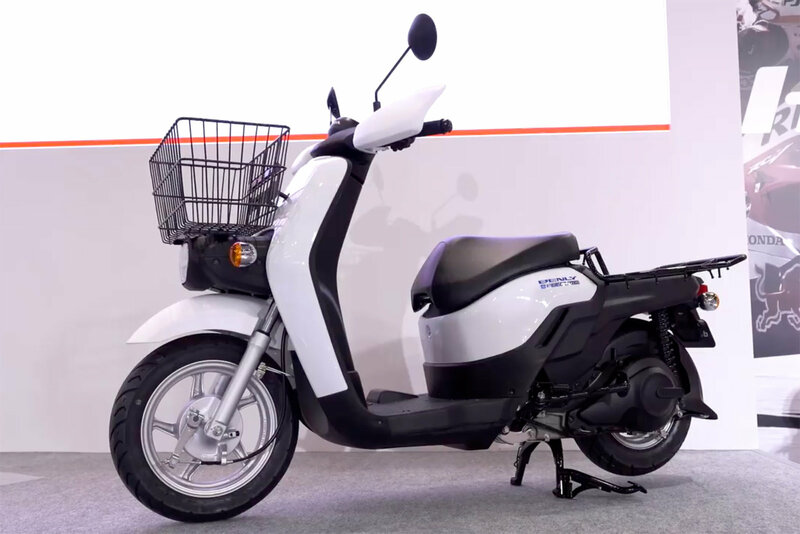 At the Tokyo Motor Show last week, Honda unveiled two electric two-wheelers, including an off-road model and a scooter. 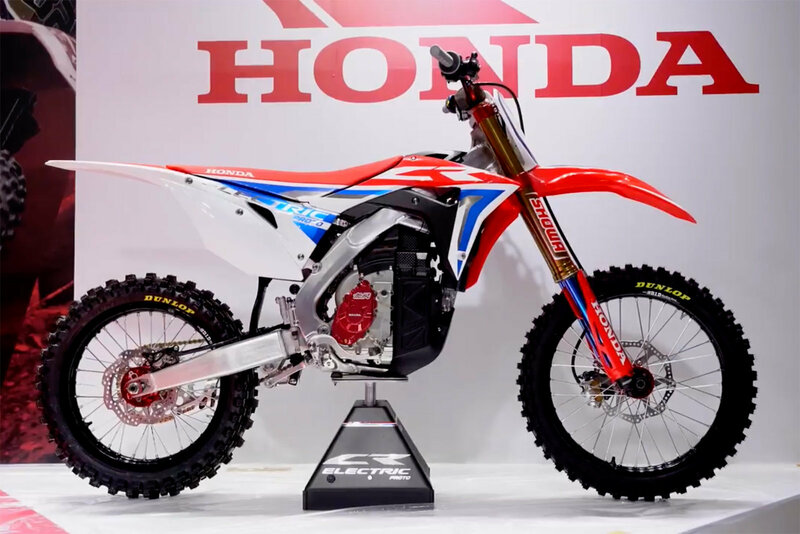 The Honda CR Electric is a prototype of a dirt bike with the electric guts shoved into the frame of a CRF250R ICE motocrosser. According to reports, the prototype was developed with the help of M-TEC, a division of Mugen that has created the electric superbike that has won the Isle of Man TT Zero race five times in a row. In case you didn’t know, Mugen was founded by the son of Soichiro Honda, and maintains a very tight relationship with the Honda Factory. This prototype is functional and undergoing testing. The Benly Electric scooter was also displayed, and appears to be a fun, practical device that would work well delivering pizzas and other items. One can easily imagine that Honda is ready to jump into electric motorcycle production with both feet, and is well on its way with R&D efforts behind the scenes. If the motorcycle behemoth does so, what impact will it have on the smaller, niche manufacturers it will compete with, such as Zero. Give us your thoughts below. Is the big red giant stirring? Honda getting into the electric dirt bike game (if they indeed intend to go beyond this concept) would be a pretty big deal. I know that Honda and Yamaha are working full time on e-bikes. I’m sure that once they have the technology perfected, they’ll bring them out in force. Once that happens, I predict that almost all of the small manufacturers will disappear. @ Anonymous Because it was a Joke? And I like Sportsters. I think the most immediate opportunity is MX and supermoto. No race longer than 1/2hr, races contained in a smaller geographical area and no noise/emissions should allow racing to take place closer to inhabited areas. They don’t have the range to compete in events where I.C.E. refueling already takes place. Great to see Honda throwing their hat in the ring. With every effort one of the “majors” makes, electrics advance. I recall about ten years ago watching one of Zero’s promo vidz for their current dirt offering at the time. It was hilarious to watch a guy yelling at the guy he was about to pass so he’d give him some room. It will be a different paradigm for guys used to a screaming ICE coming alongside them to alert them of an impending pass. I agree with Scott above when he says it might slow down trail closures… I’d go a step further and say it might even bring off-road riding in general into a more socially acceptable landscape. Can’t be a bad thing. I suppose it makes sense to start with a motocross bike. I think electric woods bikes will eventually morph into something between a mountain bike and a the current motocross bike based platform. People love their 300 two strokes, of which I have three, for their low end power. Electric bikes have sweet low end power. I have long said that the key feature of a good woods bike is the quality of the fist ten or fifteen horsepower that it makes. I will also say that the quantity of the last ten horsepower a woods bike makes is irrelevant. A much lighter, and therefore more agile, woods bike would be quite effective with against a heavier but much more powerful motocross bike. To test this theory I purchased a Sur Ron Light Bee (a fairly cheap Chinese rig) and rode it with my buddies. The roughly 125 pound bike makes a maybe eight horsepower in short burst and closer to four sustained. Never the less, there were times that I, at over 200 pounds, could go at least as fast and seldom was I ever left for dead. When technology makes something that is about the same weight with about double the power, I think that the woods guys would embrace it. Then there it is the flip side. I ride an event every year that has about a thousand riders gather at a camp site and ride for two days. Most guys would show up with a fully charged bike. But then after the first day’s ride what would you have? About 700 generators running for a sustained period as everyone is charges their bike? That would be guaranteed to take one heck of a lot of charm out of that event. I wonder how long before gas stations start offering cell exchanges for some of the more popular cells in these batteries (like propane tank exchanges) so you don’t have to wait for the recharge? Excellent idea. But we will have to go through the VHS/Beta scenario all over again. An electric powered Mountain Bike would go as far, and cost much less. And they are already available. the speed of an electric mx bike vs an electric Mountain bike makes the comparison next-to meaningless. Needs real world 70/80 mile range in Gifford Pinchot trail conditions and then I am in. Question: How far can you ride an electric dirtbike into the woods? Crazyjoe, why would you do that? Suppose I rode up to a woman riding that scooter and said “Why don’t you get a mans bike”. Would I be wrong? Electric scooter makes perfect sense, especially in Asia markets where almost everyone rides one or two. In the US, it won’t have any impact for now. hey, dale, they’re here already. not equivalent to European or Asian volume, but they’re here. i’m entirely fascinated with this dawning of the elec. vehicle age. Maybe electric dirtbikes will slow down the trail closures. I think the dirt bike platform is the perfect place to put an electric motor. I know the CR is a prototype but it just looks right and with instant torque, will probably roost any ICE dirt bike out there. I think off road bikes will continue to be in demand. KTM sells every 2 and 4 stroke trail bike it makes, most over $9000. Trails are full of them and while I will miss my ICE I’ll ride an electric bike off road all day in extreme terrain. I know lots of guys riding when they are in their 70s. I’ve said for years that scooters are the perfect electric platform. Hmmm. My previous post was supposed to be a reply to Grover. User error, I guess. Dumb thumbs, autocorrect and not proofreading make for some interesting posts. To be honest I think that Honda would be better off making electric mountain bikes, or maybe just the motors like Yamaha does. I would be really surprised if many people were still riding MX in 20 years. Those bikes are just getting way too expensive for a leasure vehicle with no street legality. Electric bicycles on the other hand are gonna keep getting more and more popular as cities everywhere become suffocated with traffic and sprawl. This could be the best thing yet to happen to electric motorcycles. So far the manufacturers have promised much but delivered little. We are repeatedly being told that advances in battery technology will give better range and shorter charge times, but it hasn’t been anywhere near enough. But if companies with the size and might of Honda get serious about it development could happen much more quickly, and prices would probably come down. Shooters should male great electric vehicles. There already ugly so there’s no need to beat them with an ugly stick. i’m no enduro fan, so i’ll take the benly, please. but, the taiwanese gogoro elec scooter is being well received, tho’ it’s not states-bound yet. lots of neato elec vehicles out there right now. With the current state of technology EV’s are incredibly well suited to trail riding possibly even some types of off road racing. But I don’t see MX bikes like this Honda as a viable alternative to ICE at this time. Oh boy. This should be fun. I ride a Husaberg enduro here in Colorado (when I’m not rocking on the porch yelling at kids to get off the grass) and would really enjoy the extra torque and silence of an electric model. Both are great in my opinion. They would sell too… IF the price was right.